Voted into the #10 spot by Inbound Logistics readers for the first time, Sunset Transportation is proud to announce our place on the elite 2018 Top 10 Third Party Logistics Provider list. ST. LOUIS, MO – Sunset Transportation, a privately-owned third-party logistics company headquartered in St. Louis, Missouri, was voted into the Inbound Logistics Top 10 3PL Excellence Awards for the first time, landing in #10 spot alongside 11 global logistics industry conglomerates (number includes ties). Sunset’s appearance in the top 10 was determined by approximately 13,000 supply chain professionals, customers, and Inbound Logistics readers based on the hallmarks of premium service: attentiveness, reliability, flexibility, and ability to execute. Sunset’s size is a notable detail standing out from colleagues in the Top 10, unseating two global supply chain providers who have been on this highly competitive and service-focused list for several consecutive years. “Sunset Transportation has experienced an immense amount of growth and maturity in the past few years. After making the Top 10 3PLs to Watch list in 2017, Inbound readers believed in the “right size” 3PL, and that an underdog with the right attitude can compete on a national scale. Our employees are extremely proud of this Top 10 recognition, and for confirming the visible difference Sunset makes in our customers’ supply chains”, says Chief Operating Officer and second-generation owner, Lindsey Graves. “Much of Sunset’s success has come from our commitment to technology and data-driven decisions. Our process is constantly improving, and we emphasize that forward-thinking philosophy with each customer relationship, big or small. Proprietary shipper technology allows us to see where efficiencies can be made. Those translate into savings and streamlined logistics programs and it’s very gratifying to see our methods at work”, continued Graves. “When companies know their supply chain is in competent hands, they’re free to focus on what they do best—customer service, production, and profitability. Sunset continues to provide these attributes directly to their customers and partners in a modern yet familiar way, through technology, personal relationships, and innate expertise”, says Publisher of Inbound Logistics, Keith Biondo. “Thank you to those who have believed in our company. 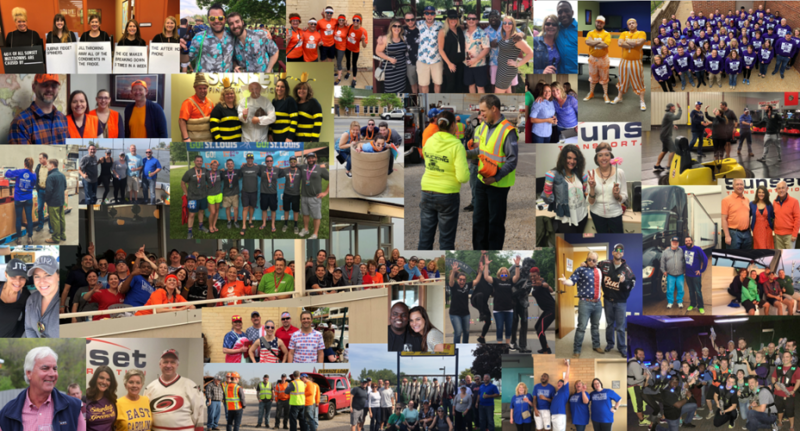 Thank you to our employees, who make our culture one of a kind. Thank you to the voters who put us in the winner’s circle among the best of the best. We are here for the long term,” said President, Chief Executive Officer and owner, Jim Williams. Inbound Logistics is the leading multi-channel content provider targeted toward business logistics and supply chain managers. Inbound Logistics’ mission is to help companies of all sizes better manage corporate resources by speeding and reducing inventory and supporting infrastructure, and better matching demand signals to supply lines.